Many junior students fear sight-reading, and for most it’s the part of the practical music exam they dread: being asked to play a short piece of music, unseen. Sight-reading is an important skill for any musician, professional or amateur, and being able to sight-read – and sight-play – well allows one to learn new music more quickly. It also makes it easier to accompany other musicians, play in ensembles or duets, and to play requests. Those of us who are good sight-readers have forgotten how we were taught how to do it: with practice, it becomes an ingrained musical skill which informs the way we study new music all the time. Look at the WHOLE piece from beginning to end. Look at the key signature. Are there any sharps or flats? Take note of any musical signs (e.g. Allegro, Cantabile, Dolce) which indicate how the piece should be played. Go slowly: don’t play at performance speed (except in an exam situation) but always keep the pulse regular. You are aiming for accuracy rather than speed. Look ahead like crazy. Don’t be caught by surprise or something unexpected in the music. Your eyes and brain should be onto the next note – or better still, the next bar – as you are playing the current note. In an exam situation it is important to just keep going. Even if you make a mistake, keep playing: don’t stop and correct the mistake. Keep a strict pulse going all the time. In exams, you are marked on pulse, rhythm, awareness of musical signs and markings and phrasing, as well as accuracy. Even if you do sight-reading practice with your teacher in your weekly lessons, it is important to practice your sight-reading between lessons. Get into the habit of practising your sight-reading regularly (some of my students are surprised that I still practice sight-reading. I incorporate it into my practice routine every week, and I always follow the guidelines given above when learning new music). If you follow these tips whenever you start work on a new piece, you will find you learn it far more thoroughly, which will enable you to play it better, with greater accuracy, musical awareness, and flow. Piano Time Sight-Reading Book 1 (Pauline Hall & Fiona McCardle). From the author of the Oxford Piano Method, a tutor book which makes learning sight-reading fun. Short, structured exercises and games and quizzes. Sound at Sight series (Trinity Guildhall). Exercises to encourage and develop sight-reading. Book 1 contains sample tests for Trinity Guildhall initial grade to grade 2. Joining the Dots (Alan Bullard/ABRSM). Short, characterful pieces to sight-read, in a range of approachable musical styles; warm-up and technical exercises, to establish basic hand shapes and finger patterns within each key. Use alongside ABRSM specimen sight-reading tests. 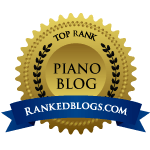 Previous postGuest post: Avoiding sightreading derailments at the piano. Great tips and thank you for the apps recommendations, too. Just got an i-thingy and downloaded a handful of your suggestions. Couldn’t be a better advice! Talking about “keep going” and “practice”, try our innovative method which trains the brain and the eye to achieve CONTINUITY, there is no going back, stumbles are eliminated and fluency is quickly achieved! Teachers and students love it. Look on our website (we will have a new one in a few weeks) http://www.wessarinternational.com The product is called “SightRead4” apps for iPad which are available in the Apple App Store. Instruments: piano, violin, viola, cello, double bass and guitar. More apps will be available soon. What I want to know is how can you maintain a steady pulse and rhythm if you are trying to figure out the correct notes?